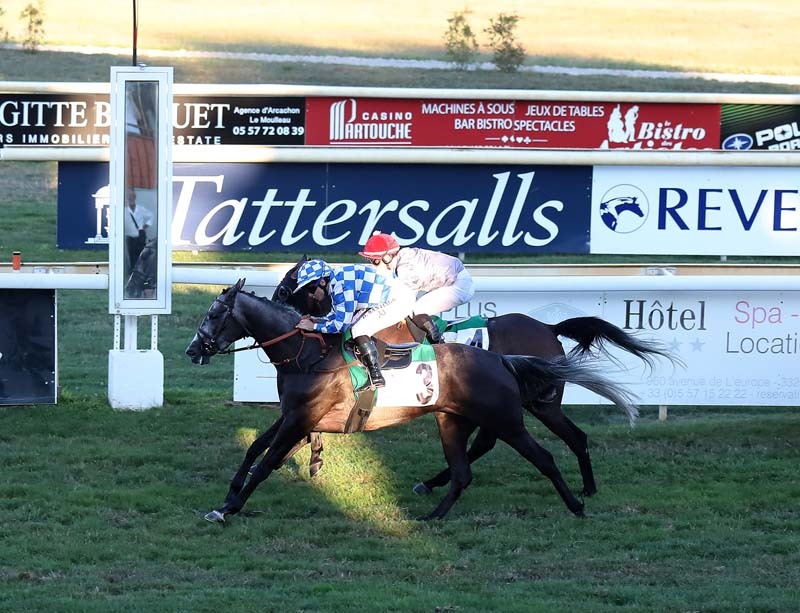 La Teste de Buch, France - Al Shamoos came up tops in a close finish in the Prix Burkeguy-Wathba Stallions Cup race for Purebred Arabians on Sunday, July 2 in at the La Teste Buch racecourse in France. 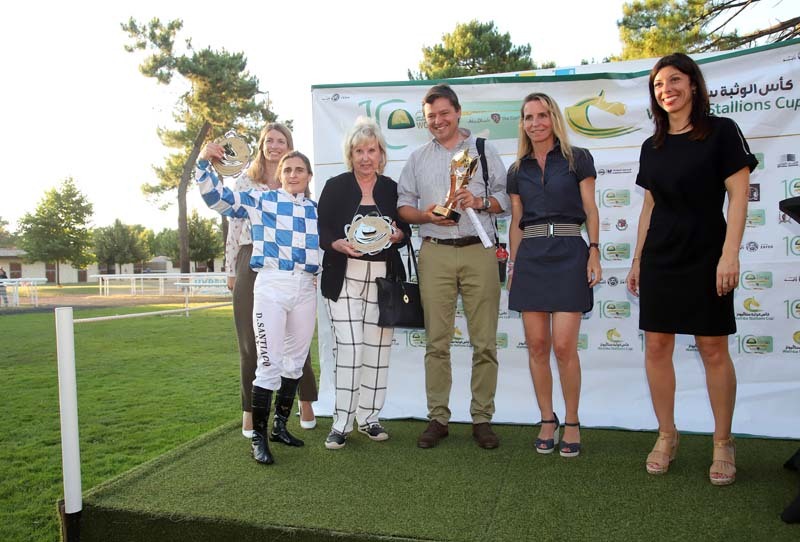 Driving home the 4-year-old No Risk Al Maury mare was lady jockey Delphine Santiago as Al Shamoos forged ahead in the final furlong after Al Naama under Julien Auge had done all the running. Chasing home the two mares was Ahzar, the 5-year-old horse ridden by Ioritz Medizabal. Al Shamoos won the 1400-metre race in a timing of 1:31.60. 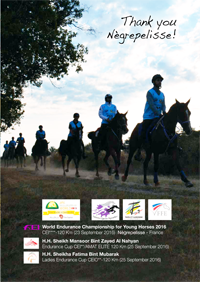 The Euros 25,000 race was part of the HH Sheikh Mansoor Bin Zayed Al Nahyan Global Arabian Horse Flat Racing Festival’s Wathba Stallions Cup series. The Festival is celebrating its 10th year since inception and the year 2018 also marks the 100th birth anniversary of Sheikh Zayed Bin Sultan Al Nahyan, the late founder of the UAE and a passionate promoter of Purebred Arabian racing. 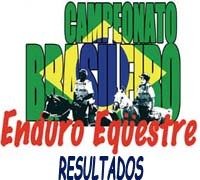 Enduroonline.com.br - © Copyright 2008 - Todos os direitos reservados.